I think I'm late to this but I'd suggest you to stick with firefox and customise it. See privacytools.io for customisations. Use it with addons like uBlockOrigin, NoScript.... Follow /r/privacytoolsio and /r/privacy on reddit. Projects like Pale Moon and Waterfox are nothing but FF with some customisations, you can do it manually. Those projects are not updated regurarly, Pale Moon is dead (I think), IceCat was recently updated. Overall you will get updates slowly, that can be dangerous. About Brave, it is just another chromium fork with its own telemetry and sh*t included. Stay away! FF is the best because you can do whatever you want! I've been swapping around a lot lately. Ran firefox when it came out, ran chrome when it came out. Switched back to firefox when they released quantum. Firefox has been great, but I can't get past the lack of chromecast support (i use it to stream audio/video to my stereo). I did a research article on browsers (it's on my website). Briefly: Firefox is spyware central and Mozilla is simply an evil company. Google too but at least they're upfront about it. QupZilla, Otter Browser and such do not have spyware in them but they don't support addons which are essential for browsing these days. Your best option is either ungoogled-chromium or GNU IceCat - these are forks of Chrome and FF, respectively, that actually respect the user. I try to try out every web browser at some time or another. Maybe I have an unpopular opinion but I use safari on iOS. Of the big companies Apple is the privacy friendliest. About the desktop browser problem. Well if you can not use an really open source browser I recommend to split your private data between companies. As example you could use opera or yandex browser. I think opera is good feature wise and yandex browser supported encrypted dns since 2 years. If splitting data between companies is not an option I would use the already recommended ungoogled chromium. But do not forget you will receive security updates later. Firefox is okay. Brave has a funny model but could be excellent. Links is pretty old school. Wikipedia actually has a comprehensive list. I put it in order of last update to avoid abandoned projects. It tells all the details of many in a nice chart, in the article titled "list of web browsers". On android, foss browser and icecat are okay. Customizing firefox requires learning about:config options and is quite a task. Luna, midori, qupzilla and cliqz are all nice broswers. Chromium works great as a portable app and all the data goes into one folder that way. There are a few browsers that aren't forked off anything else, but they tend to be a bit crappy. An example is Epiphany, it's not the greatest with compatibility. There are lots of Firefox forks that are more 'private' like GNU IceCat and GNUZilla and Waterfox. If you need real privacy, you have Tor. There's also the slew of Chromium forks. To be honest, I don't like Chromium much (eats my tiny bit of RAM like nothing else), the most popular probably being Brave and ungoogled-chromium. Haven't tried ungoogled-chromium, though. I use Waterfox and really like it. I am not an expert but from i've read is not too bad. I also host an addon guide: https://digdeeper.neocities.org/ghost/addons.html, because browsers just don't have that much functionality by default these days, so addons are essential. And I haven't seen a good guide out there (most avoid uMatrix and recommend a bunch of useless addons) so I wrote my own. Tell me what you think! It doesn't really have much over Firefox and is just as much anti-privacy (well, almost). I wouldn't bother with it. I'm currenly using firefox for normal browsing and use links whenever I have to lookup something real quick and firefox isn't open. I still haven't found any replacement for firefox. Hi cyaniventer. How can you say you didn't find a replacement for Firefox when IceCat exists without all the privacy issues? Or even my favorite Pale Moon. Yesterday I was trying icecat and I couldn't install addons from mozilla's repository, get addons takes me to a page on fsf that hosts some addons for icecat. I use some addons that were not in fsf's page, I'm sure there will be some way to fix this but I just want a browser that works. icecat doesn't even fork firefox they make changes with some script and then package that (don't know if things have changed), there is no reason to use icecat when I can make the same changes with firefox. I believe maintaining a browser is not an easy task and don't trust palemoon. IceCat should simply be able to install addons from https://addons.mozilla.org/en-US/firefox/. And Palemoon is certanly more trustworthy than Mozilla, haha. I don't know why I was not able to do that, and again if it just making some changes downstream I don't know why I would use it. And Palemoon is certanly more trustworthy than Mozilla, haha. I believe maintaining a browser is not an easy task and mozilla has more resources than palemoon which is required to keep the browser secure and bring in new features. For IceCat, the only reason to use it is the privacy by default - it removes all the anti-privacy stuff Firefox has, otherwise it is the same. On the other hand, Pale Moon has a better UI, more customizability, supports NPAPI plugins and old XUL addons...It is also very good with security, but you should be using addons for that anyway. 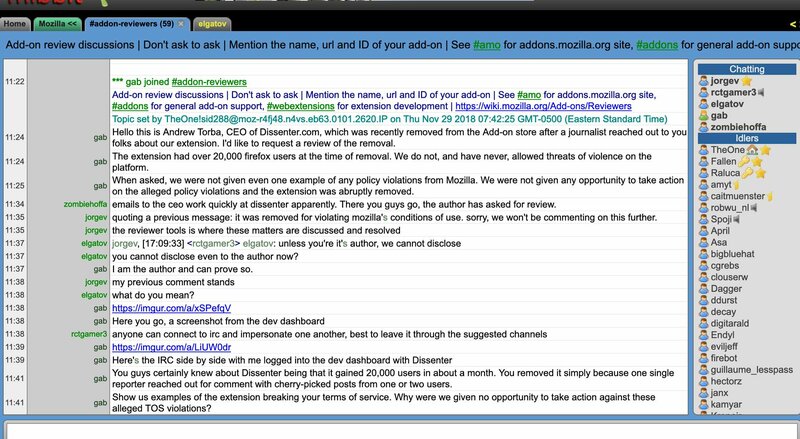 Mozilla has removed Dissenter addon (allows uncensored commenting on every website) from their store with no justification and the standard disrespect towards the dev. There, yet another reason not to use a browser from a censorship company. What about SRWare Iron browser..